Gordon Shedden and Colin Turkington were the best British Touring Car Championship drivers in 2016, according to an exclusive poll of tin-top team managers published in Motorsport News this week. Shedden, who lifted the crown in the Team Dynamics Honda Civic Type R, and Turkington, who placed fourth in his Team BMR Subaru Levorg GT, could not be separated by the 17 team managers who selected their top drivers of the season. The only stipulation in voting was that the team managers could not nominate drivers from their own squads. The team managers selected three drivers who finished outside the top 10 in the championship points among the star performers. 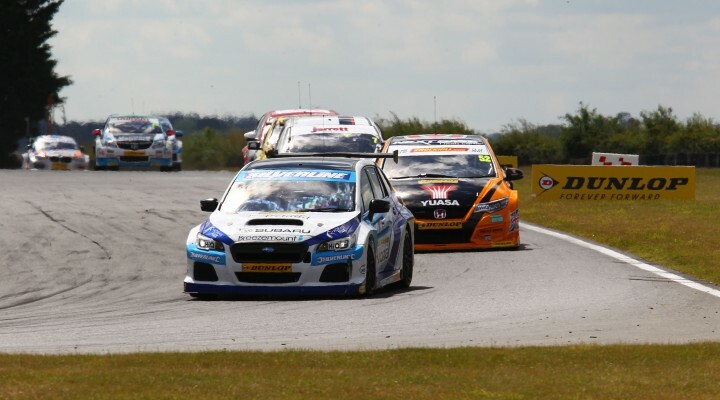 The four-page season review of the 30-round British Touring Car Championship, including the full results of the team managers’ poll, is in Motorsport News this week, published on Wednesday. Motorsport News editor and BTCC reporter Matt James said: “It is usual for a journalist to pick out their top 10 drivers of the year when compiling a season review, but we wanted to do something a bit different. “The team managers are the ones who get to see what really goes on up and down the pit lane and they scrutinise every bit of on-track action from the free practice sessions through to the races. They have a real inside track on who is turning heads.